Starlin Castro and Austin Romine each had two RBIs, Alex Rodriguez had three hits and the New York Yankees squandered most of a seven-run lead before escaping with an 8-6 victory over the Baltimore Orioles on Saturday night. New York led 7-0 before the Orioles hit three homers in a six-run seventh. The Yankees then received a strong showing from the back end of their bullpen to make the advantage stand up. Andrew Miller entered in the seventh and worked two perfect innings. 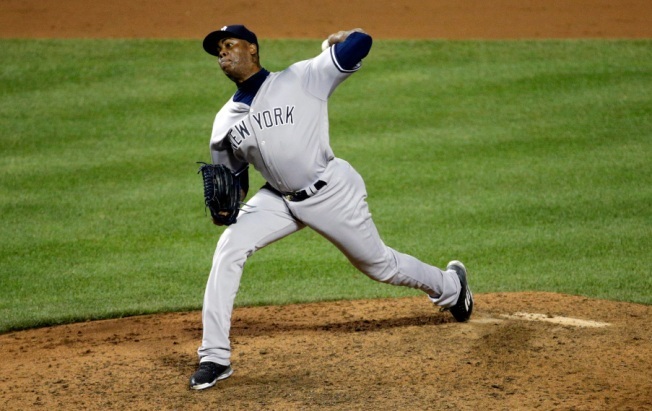 After Rodriguez hit an RBI single in the ninth, Aroldis Chapman got three outs for his ninth save in nine tries. New York finished with 16 hits, one short of its season high. Ivan Nova (4-3) took a three-hit shutout into the seventh but didn't get another out. Tyler Wilson (2-5) lasted four innings, giving up five runs and seven hits for Baltimore.